I will be appearing at Things From Another World Portland Store on May 3 from 10-12. Join me and 200 artists May 9-11 in Kansas City for Spectrum Fantastic Art Live 3 (www.sfalkc.com). 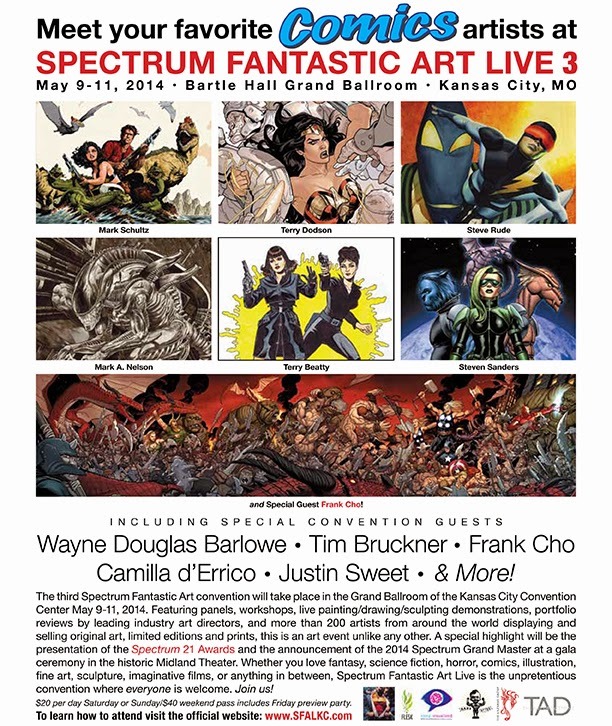 Spectrum is a three-day celebration of the best in fantasy, science fiction, horror, and comic art. 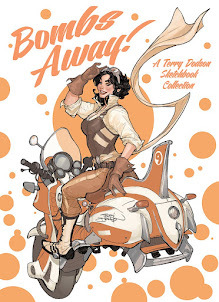 You will interact with Traditional medium artists, Digital artists working in the Film, Animation, and Video Game fields, Sculptors, Comics Artists, Cover Illustrators, and more. Additionally, there will opportunities to attend workshops, live painting and sculpting demos, panels, meet art directors, conduct portfolio reviews and attend the Spectrum 21 awards ceremonies. If you enjoy my work and would like to experience a wide variety of what the field of fantastic art has to offer I hope you will meet me in Kansas City, May 9-11, 2014.